(@mkashman) is a senior product manager on the SharePoint marketing team. for both users and admins. the Office 365 user interface. just the site collection owner. 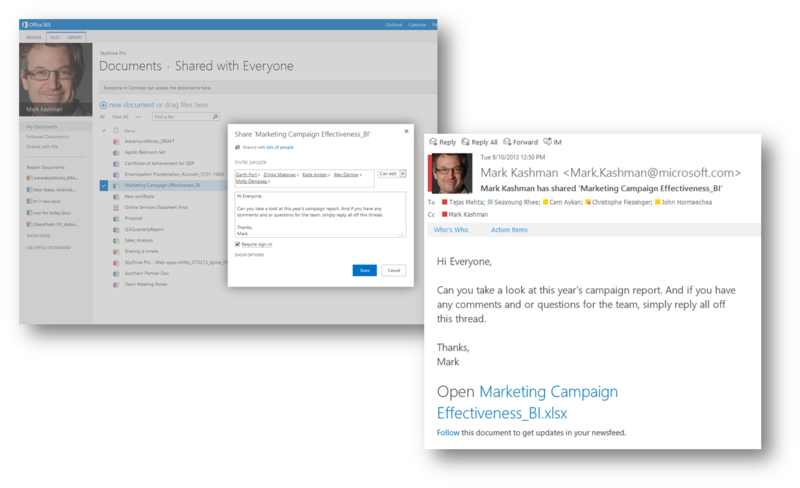 collaborative email with *everyone* when sharing a site or document. These new external sharing updates are rolling out live worldwide right now. 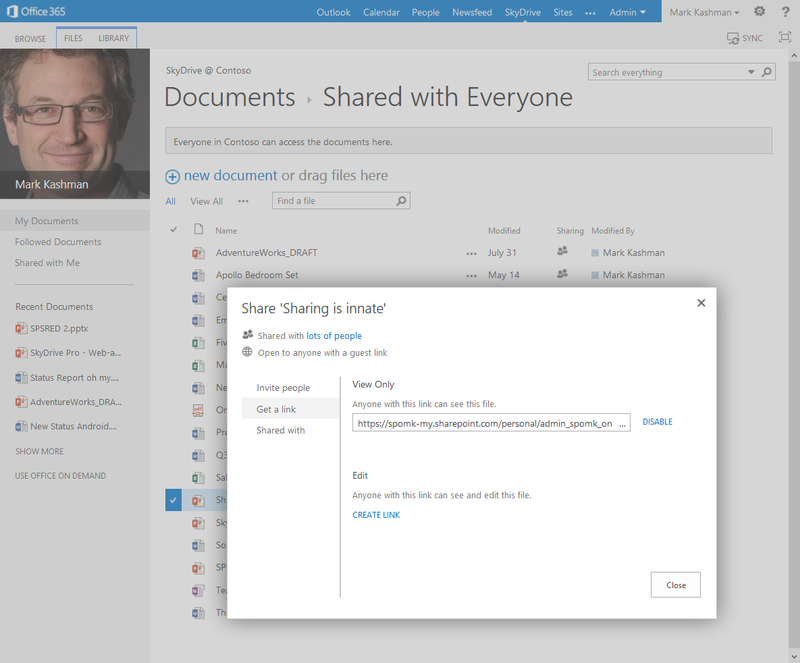 your SkyDrive Pro and your SharePoint Online document libraries’ user interface. be active, you can disable it at any time from the document’s same Share dialog box. with tab, so all the ways to share are in one place. 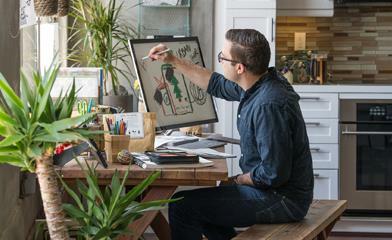 can share (video) on Office.com. sharing process associated with Microsoft Account. email message. Email recipients see all invitees on the To line. helps you work more efficiently, delegate effectively, and collaborate. Online news and tips, follow us on Twitter and Facebook, or join us on the Office 365 Community. and Office 365 Enterprise E3 for Nonprofits. this time. They are managed in a unique, isolated infrastructure. customers who have deployed SharePoint 2013 on-premises? A. No. This update applies only to the Office 365 service instance.